George Washington Sure Knew How to Throw a Party! 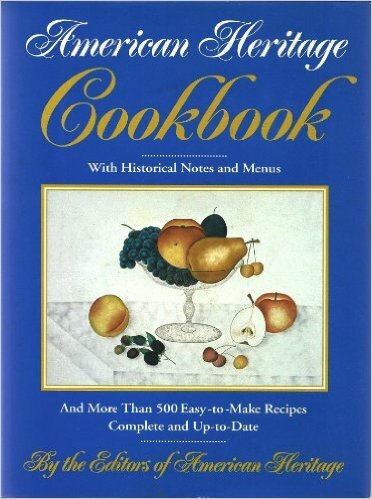 In my cookbook collection I have a copy of “American Heritage Cookbook” with Historical Notes and Menus, by the Editors of American Heritage, last published in 1980. The book contains numerous historically interesting dishes from America, “…from the time of its discovery to the beginning of this century”. In addition, 30 historic menus are included. 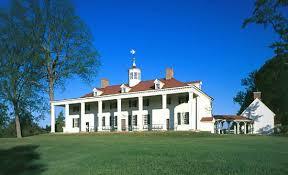 One, in particular, caught my fancy: “Christmas Dinner at Mount Vernon”. Helen Duprey Bullock compiled the menu, after extensive research. As such, it represents not necessarily one historic meal, but a composite, based upon the knowledge of the foods available and the tastes of the individuals. 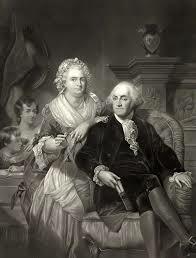 George and Martha Washington entertained frequently, and invited guests might include senators, and Vice-President and Mrs. Adams, among others. First President Washington’s tenure lasted from 1789 to 1797. George Washington’s beloved Mount Vernon began as a one and one-half story farmhouse built in 1735 by his father, Augustine. It received its well-known name during the ownership of his half-brother Lawrence. George acquired Mount Vernon in 1754, and over the next 45 years slowly enlarged the dwelling to create the resplendent 21-room residence existing today. In her research, Helen Bullock has compiled those dishes, which would have graced the Washington table: perhaps all of them, perhaps just some of them, but large, expansive, multiple course meals were standard. Whew! According to what I’ve read, Martha’s “Great Cake” consisted of 40 eggs, 4 pounds of butter, 4 pounds of powdered sugar, 5 pounds of fruit and a “half pint of wine and brandy thrown in for good measure”. Even a third of these dishes would have constituted an extremely lavish and belly-filling spread. But who was counting calories then? Certainly not a menu for the diet-conscious (if you could remain conscious after packing in all of that food!). Perhaps that would explain why Martha Washington was punctual about retiring to her chambers after a dinner party. According to “American Heritage Cookbook”, “In 1790, she concluded an evening party promptly at nine o-clock by rising and announcing to her company, “The General always retires at nine, and I usually precede him”. No wonder! This entry was posted in Cookbooks, Cooking, Cooking and Social History, Eating, Menu Planning, Vintage Cookbooks and tagged American Heritage Cookbook, Christmas, cookbooks, Cooking, food history, George Washington, Helen Duprey Bullock, Martha Washington, Mt. Vernon, social history, Sue Jimenez, time capsules, US Presidents, Vintage Cookbooks. Bookmark the permalink.